Head over to https://live.fc2.com/. 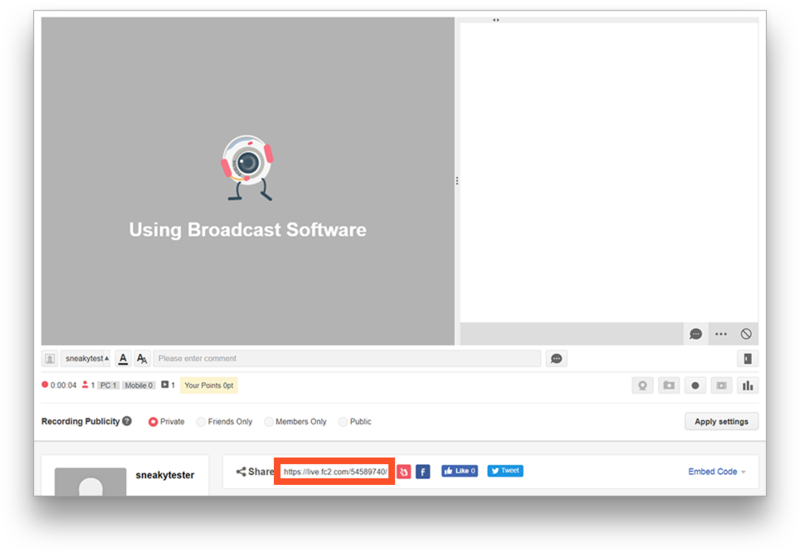 At the top right part of the page, press the "Begin Live Broadcast" button. 2. Select a category of your stream next to a green "Terms of Service" button. 3. 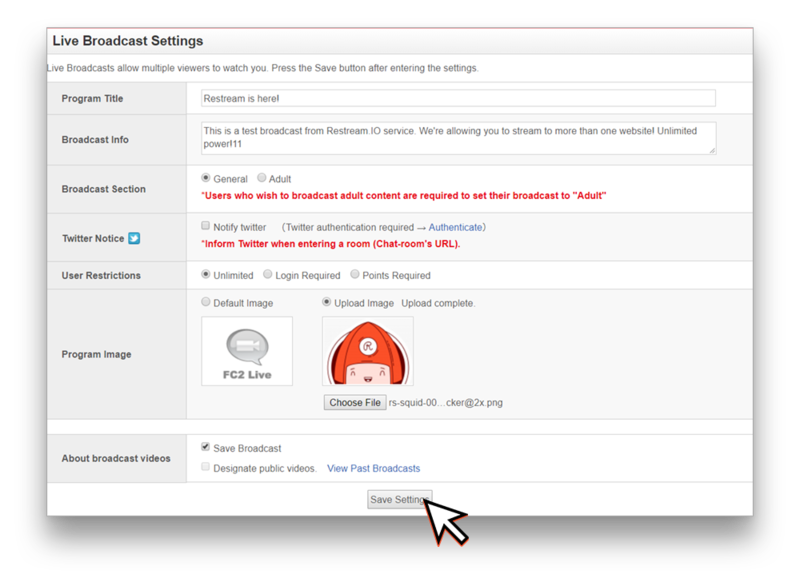 Set up your stream appearance at https://live.fc2.com/live_start/ by entering title, description and preview image. Click "Save Settings" afterward. 4. Switch over to your broadcasting page at https://live.fc2.com/member?page=broadcast. At the left part of that page you need to enable Flash Player, and allow it access to your camera and microphone to get access to the RTMP key. 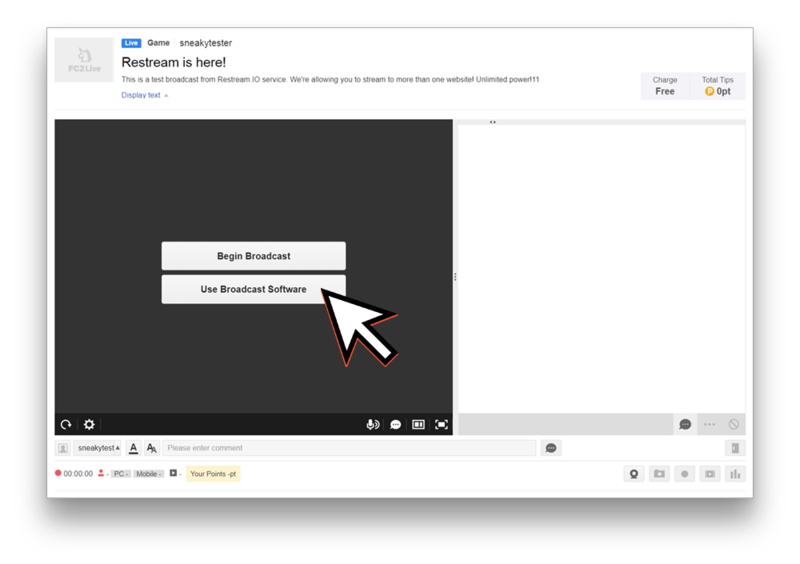 After you do this, click "Use Broadcast Software." 5. 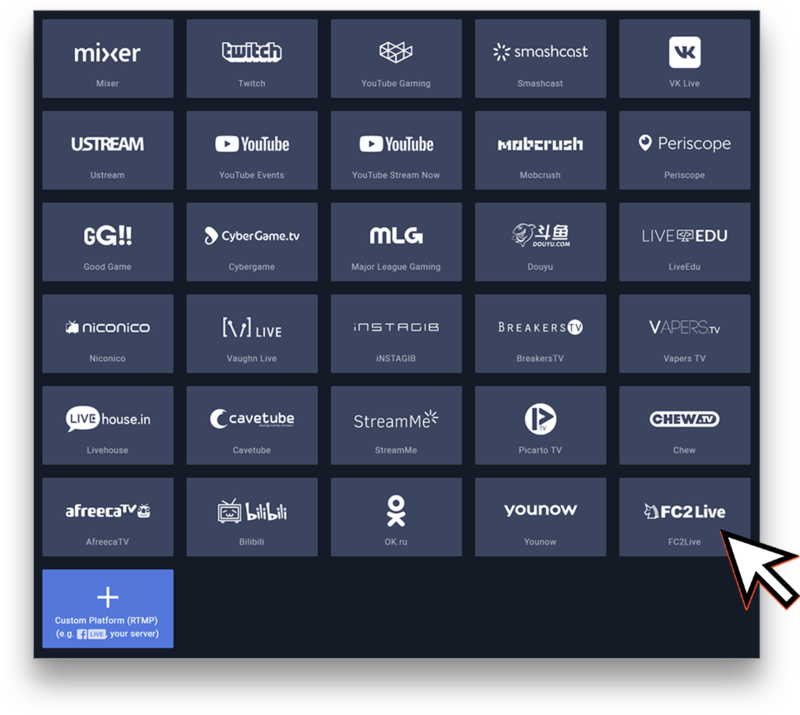 Get your Channel URL at https://live.fc2.com/member?page=broadcast from the area below the player next to Share buttons. 7. 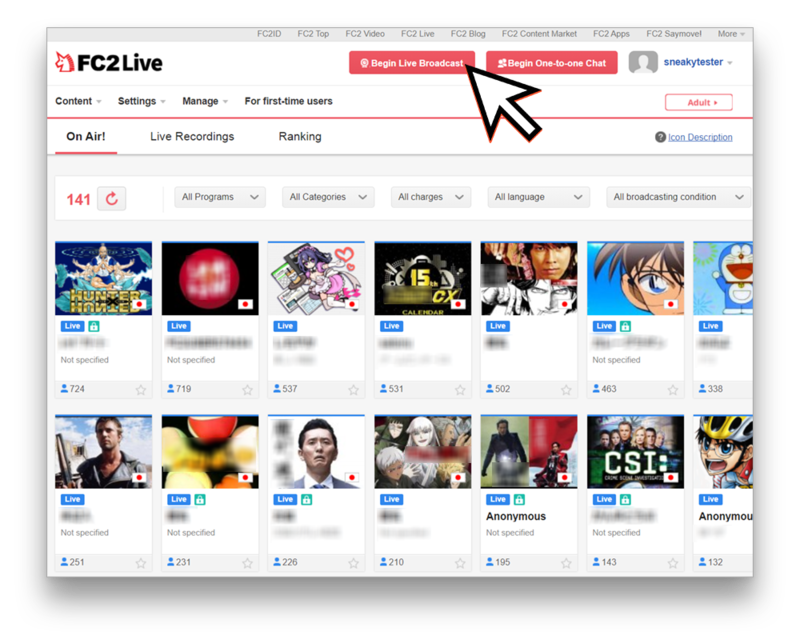 At your Restream Dashboard press Add Channel button and select FC2.com platform. Insert Channel URL and Key you copied earlier to text fields. 8. 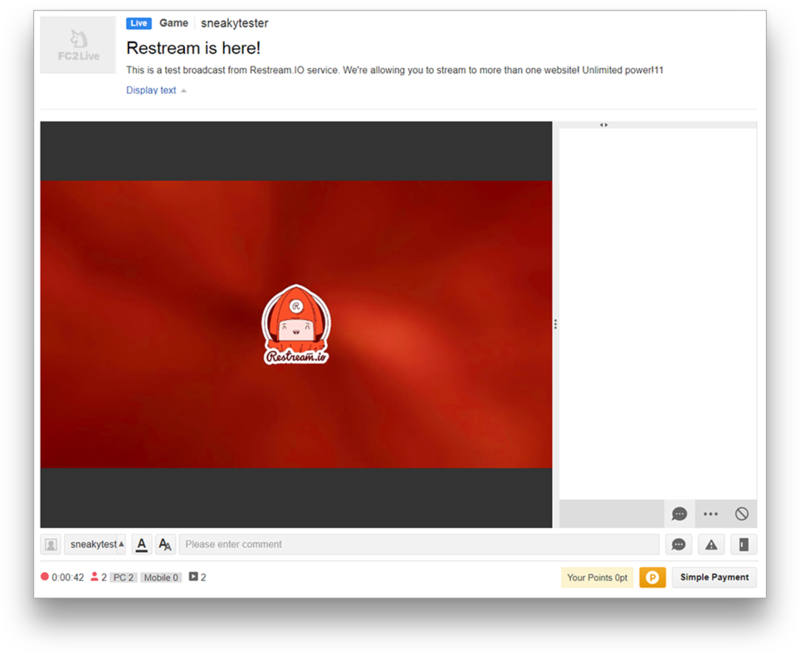 Start streaming to your Restream RTMP. 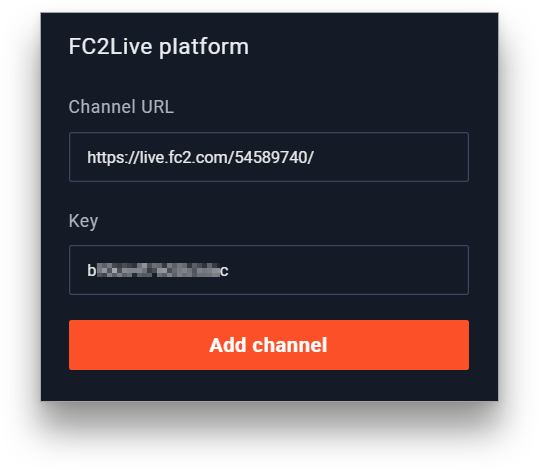 When you launch your stream, your FC2 channel will go live instantly.